The other day I was driving in downtown Kokomo and saw a comical sight—comical for me, at least. A man in pickup truck was backing into a parking space, tapped the streetlight pole with his truck’s bumper, and—boom! Down she went. Although he did not hit the pole hard, one weighty tap was all it took. We, too, are fragile. In Psalm 103:13-14, the psalmist reminds us that, “As a father shows compassion to his children, so the LORD shows compassion to those who fear him. For he knows our frame; he remembers that we are dust” (ESV). The fact that we are vulnerable does not mean we are not valuable. 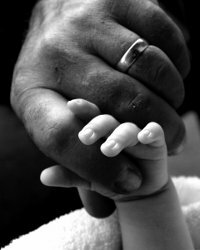 God’s compassion is showered upon us like the compassion of a loving father. He values us so intently that He did not spare his own Son for us (Rom. 8:32). Our human dignity comes from God. Understanding human dignity is a theological point, but that does not preclude it from being an important issue in daily life. It is a crucial matter that affects the life and death decisions we make. "The [Personhood] amendment did not have the backing of all the major pro-life groups." Read more about "The [Personhood] amendment did not have the backing of all the major pro-life groups." "Prenatal screening has opened up a baffling world of “choices” to couples who are expecting a baby." Read more about "Prenatal screening has opened up a baffling world of “choices” to couples who are expecting a baby." Mississippi Baptists back "Personhood Amendment"
Read more about Mississippi Baptists back "Personhood Amendment"